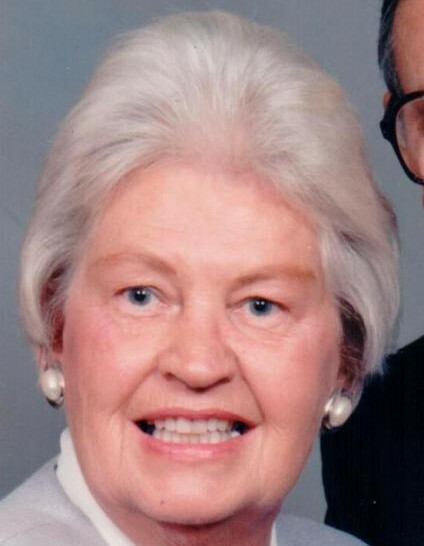 Cohoes-Jane Ellen Haff, 91, loving wife, mother, grandmother and great-grandmother, passed away on Friday, Feb. 1, 2019 with family by her side. Born on March 19, 1927, in Troy, N.Y., to the late Ingrid and Harold Tilton, Jane was raised in Troy and graduated from Lansingburgh High School. After high school, she worked as a secretary. While on a camping trip with friends to Rogers Rock, Lake George, she met the love of her life, Gardner Haff, and they soon married and raised a family. In March 2018, they celebrated 70 years of marriage. Jane was a homemaker and liked to travel (especially to Cape Cod), cook, read, sew and garden. She valued her lifelong friendships and her rich Danish heritage. She loved to watch "Seinfeld," play cards and listen to the saxophone music of her husband or the albums of Scott Hamilton. She enjoyed skiing and swimming, and sailing on Lake George with her husband. Most of all, she loved spending time with her family and learning of their joys and accomplishments. Jane was preceded in death by her parents and her brother, Robert Tilton. She is survived by her husband, Gardner; her children, Sandra Smith (John), of Latham, and Jeffrey Haff (Meg), of Clifton Park; granddaughters Meghan, Susan and Kaitlin, grandsons Alexander and Ian, and great-grandson Colin. Also, longtime friends Dorothy Olson and Kathy Dewine. She was a lifelong member of the First Presbyterian Church of Lansingburgh. The family would like to thank Dr. Nita Parikh for her care through the years and the fourth-floor staff at Memorial Hospital for their care and kindness. Jane was known for her warmth and friendliness to all she met. She has left a huge hole in the hearts of her husband, children and grandchildren, but her kind spirit, love and encouragement will be felt for generations. In lieu of flowers, memorial contributions can be made to Cornerstone Community Church of Lansingburgh, 570 3rd Ave., Troy, NY 12182. Funeral services will be private at the convenience of the family. Burial will be held at Memory Gardens, Colonie.